Interesting exchange between John Shannon of Sportsnet and Kevin Cheveldayoff before the ping pong balls went bouncy-bouncy at the National Hockey League draft lottery on Saturday in the Republic of Tranna. 1) Chevy, after half a dozen years of generally (mis)managing the Winnipeg Jets, is telling the faithful that there shall be meaningful games played at the Little Hockey House on the Prairie next spring. That’s right, playoffs. You have his guarantee. No ifs, buts or maybes. It’s iron-clad. 2) Should the Jets fail to qualify for the 2018 Stanley Cup tournament, Chevy is telling Jets Nation that he no longer will be generally (mis)managing the Jets. They’ll kick him to the curb. Which of the two is it? Well, I don’t think Puck Pontiff Mark Chipman is inclined to kick Chevy anywhere, although a good, swift boot to the seat of his britches might serve a useful purpose. So, he’s guaranteeing us that the Jets will not be a lottery team next year. Trouble is, nobody will hold him to it. Yo! Kevin Cheveldayoff! This is your weekly reminder about how to build a playoff team. If you’ve been paying attention to the Edmonton McDavids’ postseason run, you’ll know they’ve gotten game-winning goals from Zack Kassian (two), David Desharnais, Adam Larsson, Patrick Maroon and Anton Slepyshev. All but Slepyshev were acquired in trades, Chevy. Oh, and that goalie who stole Game 2 for the McDavids in their skirmish with the Disney Ducks? That’s right. Cam Talbot was acquired in a trade, as well. But, hey, you just keep drafting and doing nothing else, Chevy. Why do I keep reading and hearing that it will be an upset if the McDavids knock off the Ducks? Edmonton was a mere two points in arrears of Anaheim at the close of regular-season business, they racked up the same number of Ws (regulation/overtime), and their goal differential was 12 better. So how would that qualify as an upset? 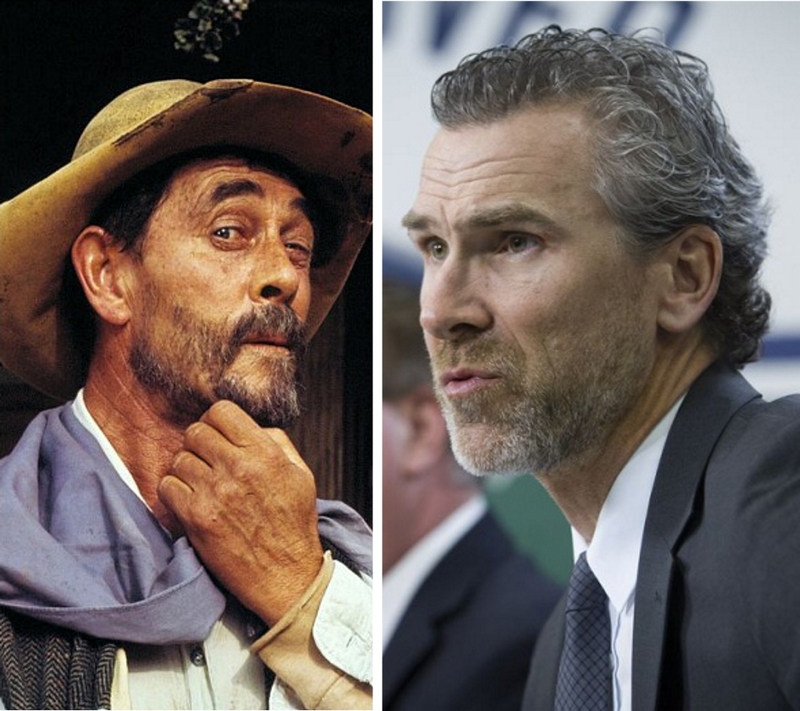 Festus Haggen and Trevor Linden: Separated at birth? That hot mess that is the Vancouver Canucks doesn’t look any prettier after they dropped three spots, to No. 5, in the draft lottery, but it won’t prevent Trevor Linden from peddling his flock a snootful of hooey. “We could get a better player at five than the top two, and that’s what we’re focused on,” the Canucks chief cook and bottle washer said. “We’re thinking about the entire draft. We’ll have six picks in the top 120 and we’re going to add to our group of prospects. That’s the message to our fans.” Which is like trying to sell mosquitoes to Winnipeg. Yo! Trevor Linden! It’s one thing to look like you’re in the fourth month of a hunger strike, but what’s with those scruffy chin whiskers? If someone were to stick a tattered, old cowboy hat on you, we’d be looking at Festus Haggen from Gunsmoke. Would I be out of line if I suggest someone other than Sidney Crosby is the best hockey player in the world? I mean, I don’t see anyone better than Erik Karlsson these days, and the Ottawa Senators captain is playing on a foot with two hairline fractures. I see our girl Genie Bouchard had herself quite the hissy fit when the Sharapova Shriek returned to the Women’s Tennis Association tour this week after 15 months of shriek freedom. Maria Sharapova, of course, had been in exile for using the banned substance meldonium, and the return of Her Royal Blondness as a wild-card entry in the Porsche Tennis Grand Prix at Stuttgart, Germany, inspired Genie to label the former world No. 1 a “cheater and…I don’t think a cheater in any sport should be allowed to play that sport again.” Geez, who knew Genie Bouchard was still on the circuit? Yo! Genie and all you other ladies (hello, Caroline Wozniacki) who would have Sharapova grovel! Listen up. Serena Williams is away having babies. The Sharapova Shriek had been silenced. You have no star power without them. Zero. Zilch. Nada. So give your heads a shake. Of course event organizers want the tall Russkie in the main draw. That’s why she was offered wild-card entries at Stuttgart, Madrid and Rome. She sells. It’s a no-brainer. Will she receive a free pass into the French Open at Roland Garros? We’ll know mid-May. In the meantime, the WTA needs her as much as she needs it. Once upon a time, a heavyweight title bout was the biggest sports story of the day. Heavyweight champion of the world was the most exalted position in all of jockdom. Today? Dispatches on the title tiff between Anthony Joshua and Wladimir Klitschko on Saturday night at Wembley Stadium in London didn’t even make it on the front page of the Sportsnet website (I guess they couldn’t work a Toronto Maple Leafs angle into the story) and it made the bottom of the page on TSN’s site. For the record, Joshua (19-0, 19 knockouts) stopped Klitschko in the 11th round and he now owns two of prize fighting’s alphabet belts—the IBF and WBA. Deontay Wilder is the WBC champeen and Joseph Parker holds the WBO title. No word on the three champions going dukes up to sort out boxing’s alphabet, but if they do fight I’m sure Sportsnet won’t care. 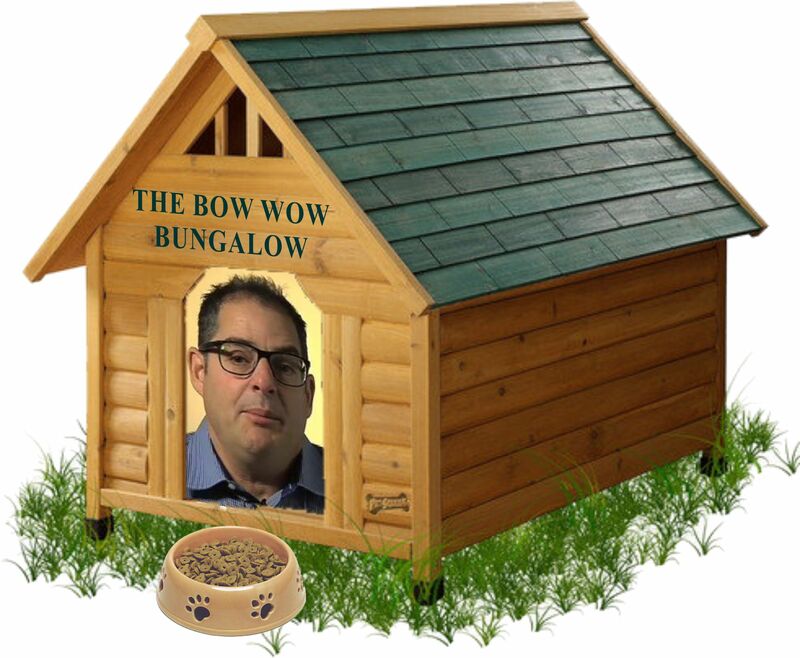 Grandpa Steve Simmons is in the Bow Wow Bungalow again. Oh, dear me, those pesky kids are playing in Grandpa Steve Simmons’ front yard again. 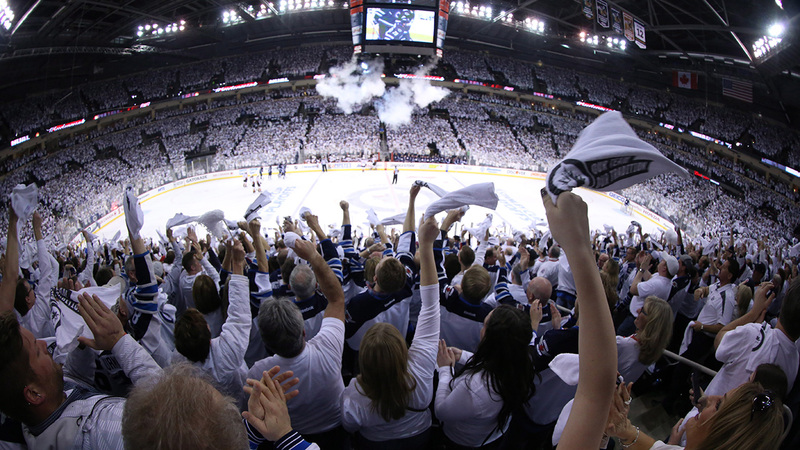 The Postmedia columnist tweets: “Shouldn’t playoffs be enough to get people excited? Why this need for blaring noise and screaming half hour before Raptors game?” Shhhhhh. You kids keep it down out there! Grandpa Stevie has to get in his nap before tipoff. Just wondering: Is there a Canadian Football League rule that Chris Jones hasn’t broken since taking over Gang Green. The Saskatchewan Roughriders’ Mr. Everything has been levied fines totaling $116,500, which could buy him a backup quarterback, a rookie O-lineman and a fine to be levied later. Okay, hands up anyone who is genuinely shocked that professional athletes pulling in great gobs of American greenbacks have been allowed to jump the MRI queue in Canada? Seriously. If word that play-for-pay jocks receive “preferential treatment” is a revelation to you, then you’d probably be interested in knowing that a guy named Trudeau is prime minister in the True North but his first name isn’t Pierre. I mean, hellooooo. How long have you been napping? Pro athletes and “preferential treatment” have been hand-in-glove since David threw down on Goliath. You think David ever had to buy his own pints and chow after scoring that upset? But, hey, what’s happening in Manitoba isn’t about free bar or restaurant tabs, is it? It’s about health care and the deified, millionaire members of the Winnipeg Jets and the regular Joe-salaried workers with the Winnipeg Blue Bombers. According to the provincial auditor general, 59 jocks were allowed to jump the MRI queue for 149 scans in an eight-year period (2008-2016). Allow me to do the math: That averages to less than one athlete and 1.5 scans per month. Frankly, I’m surprised the numbers are so low. Look, I don’t blame anyone for being PO’d if they’ve been on a wait list for four months only to see Jacob Trouba or Matt Nichols limp in and go directly to the scanner. It isn’t fair. But in Winnipeg, that’s the way it has to be if you want a National Hockey League and Canadian Football League franchise. In the interests of full disclosure, I had an MRI scan done on my brain slightly more than a year ago. The good news is, they found a brain. The bad news is, results showed soft tissue in my grey matter, the result of the combined nuisances of multiple concussions (10) and aging. Hopefully, that explains a lot of things, if not everything. This whole MRI thing has really gotten up Paul Wiecek’s nose. His pallor surely must be as ashen as his hair, because the Winnipeg Free Press sports columnist has called out Puck Pontiff Mark Chipman for the Winnipeg Jets owner’s silence on the issue, and he describes the local hockey heroes as a “tiny cadre of coddled millionaires.” Coddled? Coddled? You want to talk about coddled? During my time in the media we received free beer, free food, free books, free music, free tickets, free clothing, free merchandise, free access to back-stage gatherings, free access to doors that were closed to the regular rabble, free everything. And, hey, some might even have been pushed to the front of the queue at the doctor’s office. I can’t say what, if anything, has changed, but it’s my guess that the media Gravy Train is still chugging along. 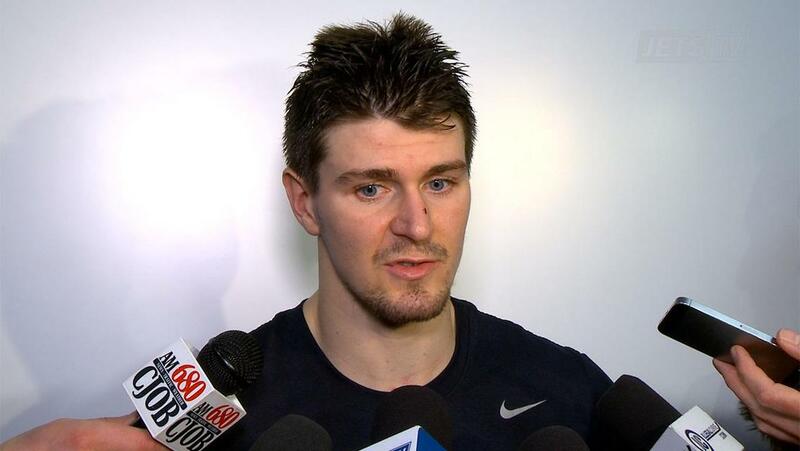 Unlike Wiecek, I’m not interested in what Puck Pontiff Chipman has to say about MRI scans. I’m more interested in what he thinks about his general manager, Kevin Cheveldayoff, not being able to accomplish in six years what Peter Chiarelli of the Edmonton McDavids and Lou Lamoriello of the Toronto Maple Leafs have done in two years. This spring’s Stanley Cup skirmishing has been strange. How strange? Well, let’s put it this way: The Chicago Blackhawks are out of the playoffs after only four games and Dart Guy is still in them. I don’t know what to make of this Dart Guy dude. 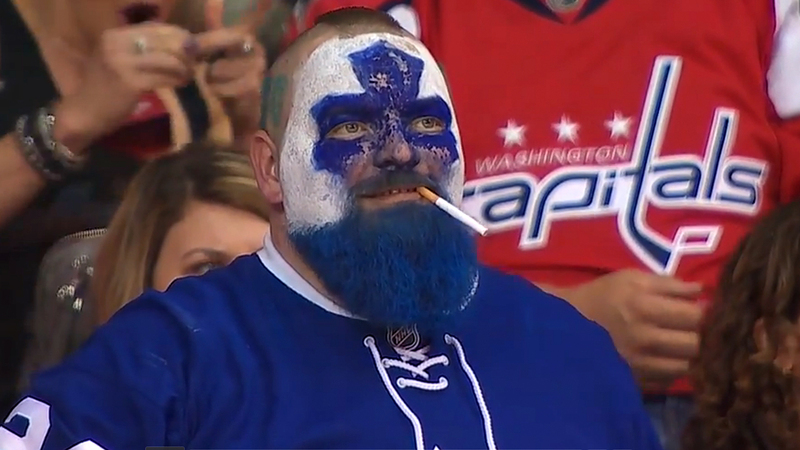 I mean, he has a Maple Leafs logo painted on his face, he sticks an unlit cigarette between his lips and he becomes some kind of cult figure in the Republic of Tranna? Sometimes I wish Andy Warhol hadn’t been right about those 15 minutes of fame. Why do broadcasters and writers insist on describing a goal with a one-handed deke “the Forsberg?” I know for certain that I saw Alexei Zhamnov of the Jets perform that very move, more than once, before I ever saw Peter Forsberg do it. I also saw Kent Nilsson do it before Forsberg. This from Don Cherry during one of his Coachless Corner segments on Hockey Night in Canada last week: “The last Coach’s Corner, I said to you kids, ‘Don’t taunt or laugh when you’re winning.’ I said, ‘Never do that, kids.’ Kids, it’s not the Canadian way. You never laugh or taunt your opponent.” Grapes is right. The Canadian way is to give them the middle-finger salute, like Alan Eagleson and Frosty Forristall did to the Soviets in Game 8 of the 1972 Summit Series. We don’t taunt them when we’re losing, either. We break their ankles (hello, Bobby Clarke). Guaranteed to happen in life: 1) Donald Trump will tweet; 2) Adam Sandler will make bad movies; 3) a Bruce Boudreau-coached team will be eliminated from the Stanley Cup tournament. P.K. Subban is still playing hockey (suprise, surprise). Shea Weber isn’t. Does that mean the Nashville Predators got the better of the Montreal Canadiens in their exchange of all-world defenceman? No. It isn’t Weber’s fault the Habs’ forwards score less often than the Pope swears. Postmedia scribe Steve Simmons, whose work often appears on the sports pages of the Winnipeg Sun, has provided us with a tweet that serves as a shining example of the self-absorbed, Centre of the Universe mentality that exists in the Republic of Tranna: “An absolutely stacked Canadian Sports Hall of Fame class is introduced on the wrong day. Not their fault. 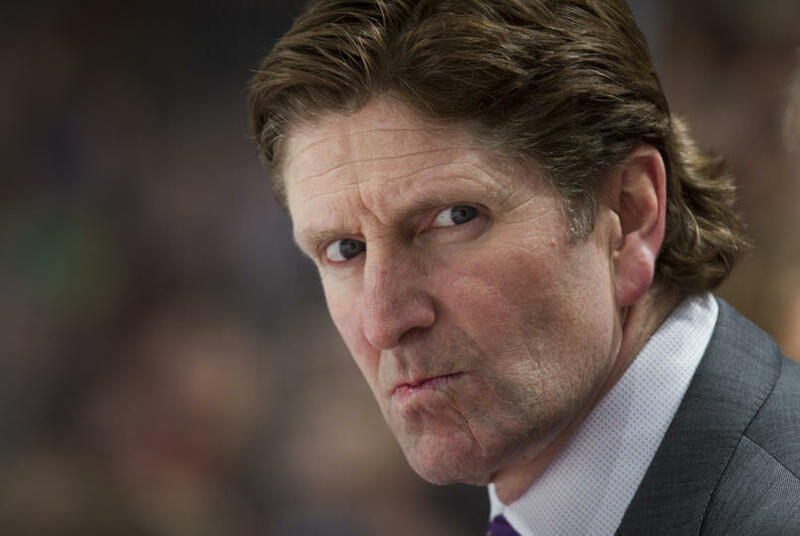 Toronto is Leafs consumed today.” In other words, the rest of the country be damned. 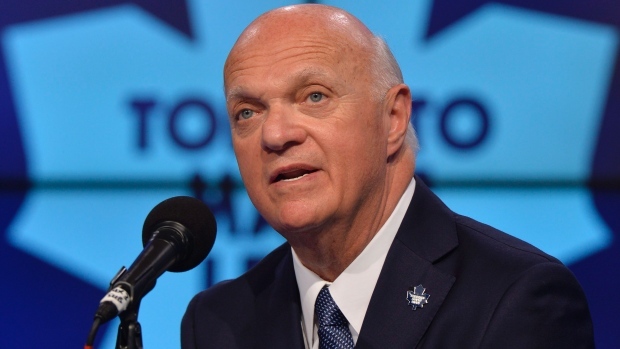 Stevie says any national news of significance must be put on hold whenever Auston Matthews and pals are playing a hockey game in the 416 area code. All you good people in Winnipeg, you can wait a day to learn that your speedskating golden girl, Cindy Klassen, is among the 2017 CSHofF inductees. Ditto for you fine folks in Hanna, Alta. 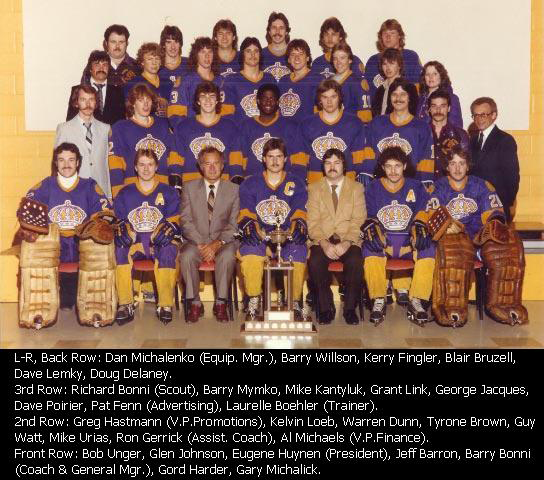 We’ll fill you in on native son Lanny McDonald after Auston and pals have had their fun. I must say, for a guy who once called Calgary home and ought to know better, the ego-fuelled Simmons has developed into a first-class Tranna snob. In the week’s social news, Serena Williams announced she’s preggers and Ronda Rousey announced she’s engaged. The nerve of those women. I mean, don’t they realize the Maple Leafs are still playing hockey? Nobody wants to hear about a mommy bump or a diamond ring unless Auston Matthews happens to be the father or fiance, right Stevie? Barney, Andy and Luke Bryan. Well, golleeee and shezam! 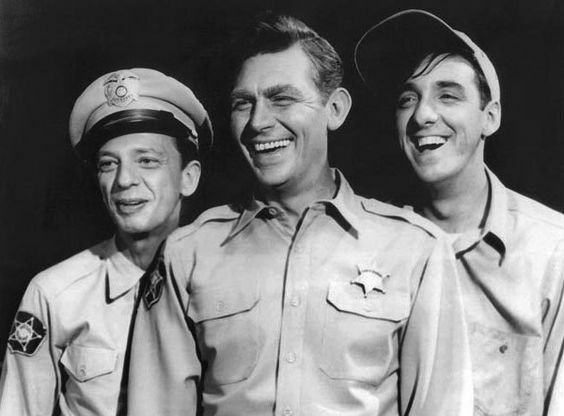 I finally figured out who country guy Luke Bryan sounds like when he tries to sing—Gomer Pyle. I swear, when I heard Bryan perform the American anthem prior to a Nashville Predators-Blackhawks skirmish, the first thing I thought of was good, ol’ Gomer Pyle pumping gas and visiting Andy and Barney at the sheriff’s office in Mayberry. How Bryan became one of the giants of the country music industry is as much a mystery as how Donald Trump got the keys to the White House. 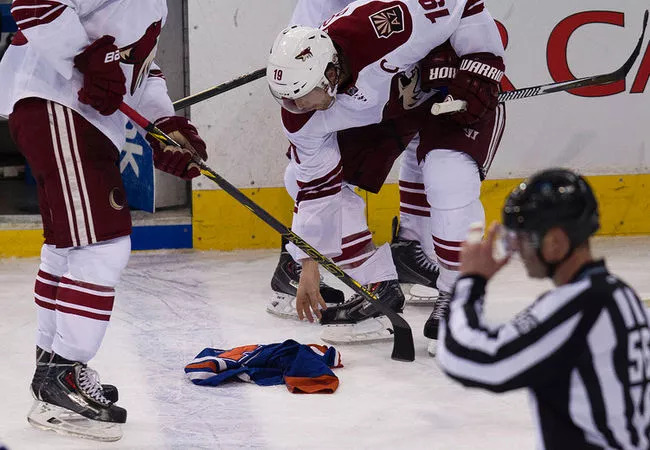 Edmonton Oilers fans perfected the jersey toss. Just wondering, would those be the same fans who, only two years ago, were hurling Edmonton Oilers jerseys onto the ice in disgust? Those people are going to show the rest of us how it’s done? That’s like hiring Don Cherry as a wardrobe consultant. Or Meryl Streep recruiting Adam Sandler as an acting coach. Hey, don’t get me wrong. Oilers fans are terrific. When they aren’t tossing $200 orange-and-blue clothing onto the freeze. I doubt there’s anything Oilers loyalists can teach the faithful in the other six National Hockey League ports-of-call in Canada, with the possible exception of Vancouver, where the locals like to play with matches and try to reduce the town to ashes whenever the Canucks lose a playoff series. I mean, what can the rabble in Montreal, for example, learn from their counterparts in The Chuck? Zilch, that’s what. Officially, Roman Catholicism is the main religion in Montreal. But we know better, don’t we. It’s hockey, specifically les Canadiens. The team jersey (which no one tosses on the ice surface) is known as La Sainte-Flanelle—the Holy Flannel. The Habs’ former home, the fabled Forum, wasn’t a hockey rink. It was a cathedral. Carey Price isn’t a goaltender. He’s deity. If he backstops les Glorieux to their 25th Stanley Cup title, he, like Patrick Roy, will achieve sainthood. At the very least, he becomes the Pope. And Edmonton is going to show Montreal what a hockey town looks like? As if. Yo! Kevin Cheveldayoff! Did you notice who scored twice for the Toronto Maple Leafs in their double OT victory over the Washington Capitals on Saturday night? That’s right, Kasperi Kapanen, acquired as part of the Phil Kessel trade. And did you notice who assisted on both of Kapanen’s goals, including the overtime winner? That’s right, Brian Boyle, acquired just before the trade deadline for a minor leaguer and a conditional second-round draft choice. So you see, Chevy, there’s more to being an NHL general manager than draft and develop. It’s actually permissible to improve your Winnipeg Jets roster via barter, whether it means surrendering spare parts or an elite performer, as the Leafs did with Kessel. 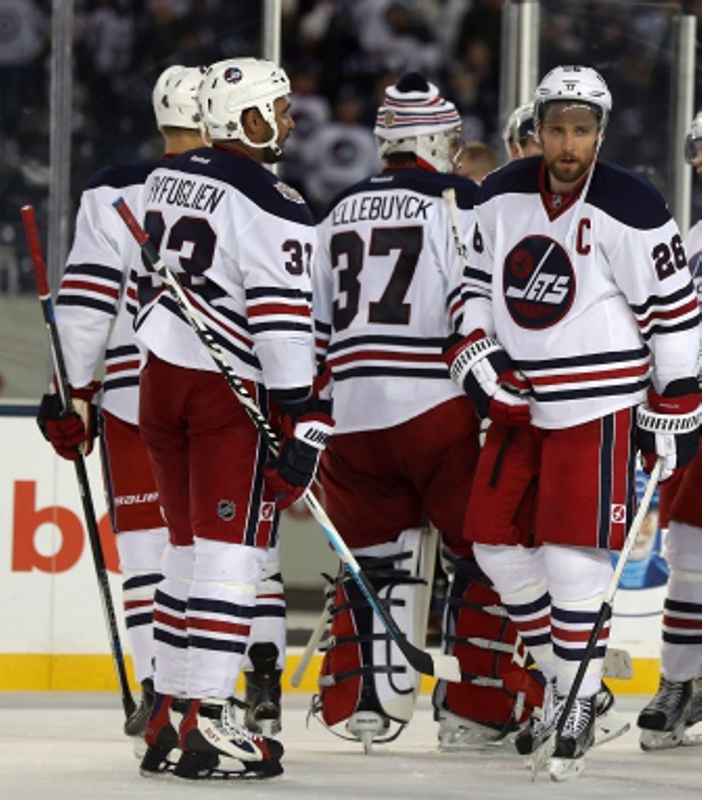 Jets captain Blake Wheeler would excel in playoff hockey. I don’t know if Blake Wheeler has been watching first-round Stanley Cup skirmishing, but, if so, I’m guessing it must really gnaw at the Jets captain that he isn’t included in the fun. This is his kind of hockey—intense, ballsy, belligerent, hostile, up-tempo, elite. Wheeler would excel on that stage. As for his colleagues, I wonder how many of the Jets could compete in that environment. It would be nice to find out sometime this decade. Well, wouldn’t it, Chevy? Unless I missed it, the Winnipeg Free Press ignored the passing of Bill (Sudsy) Sutherland, a member of the original Word Hockey Association Jets team and assistant/head coach of Jets 1.0 in the NHL. Sudsy’s death doesn’t warrant a mention? Not even a paragraph or three on one of the truly good guys in Jets lore? That’s totally lame. Funny story about Sudsy from Joe Watson, a teammate with the original Philadelphia Flyers in 1967. After scoring the first goal in franchise history in Oakland, Sudsy and the Flyers returned home for their season debut at the Spectrum, on Oct. 19. Here’s how Watson remembered it for csnphilly.com: “We’re coming through the building and the security guards were there and we are all walking through and all of us are looking kind of young and Billy was looking older and the security guard says, ‘Where are you going? Billy says, ‘I’m a player.’ And the security guard says, ‘You can’t be. You’re too old.’ He was 36 at the time.” As it happened, Sudsy scored the only goal that night in a 1-0 victory over the Pittsburgh Penguins. He had lifetime security clearance thereafter. I’m not sure what was more astonishing at Paul Maurice’s season-over chin-wag with news scavengers, his unvarnished arrogance or his smugness. 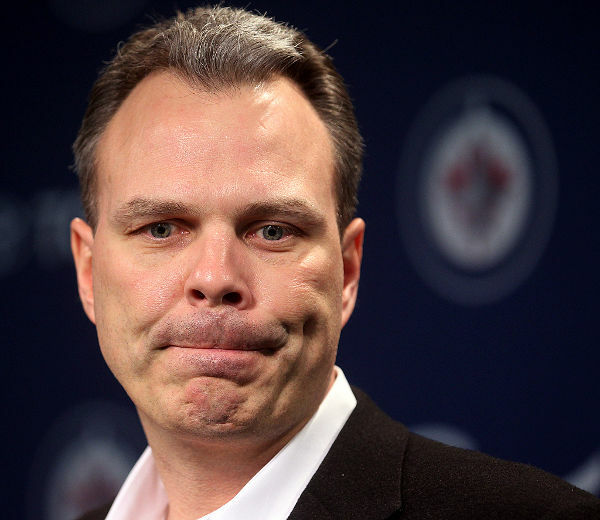 Asked by Paul Friesen of the Winnipeg Sun why, given the head coach’s track record, Jets fans should be confident that he is the right man to “turn this (team) around,” Coach Potty-Mouth declared “It doesn’t need to be turned around. It’s already headed in the right direction.” Well, excuuuuse us all to hell. And here we thought the Jets missed the playoffs. Again. Later, Maurice twice refused to allow TSN’s Sara Orlesky to complete a question about acquiring a veteran goaltender, interrupting her both times with a smug response. I will say one thing for Coach Potty-Mo, though: At one point, he confessed to lying to the media. I’m sure they take considerable comfort in knowing they shouldn’t believe anything he tells them. While it remains uncertain if the Jets are, indeed, “headed in the right direction,” as Maurice submits, I’ll take their roster over that steaming mess of hooey in Vancouver. 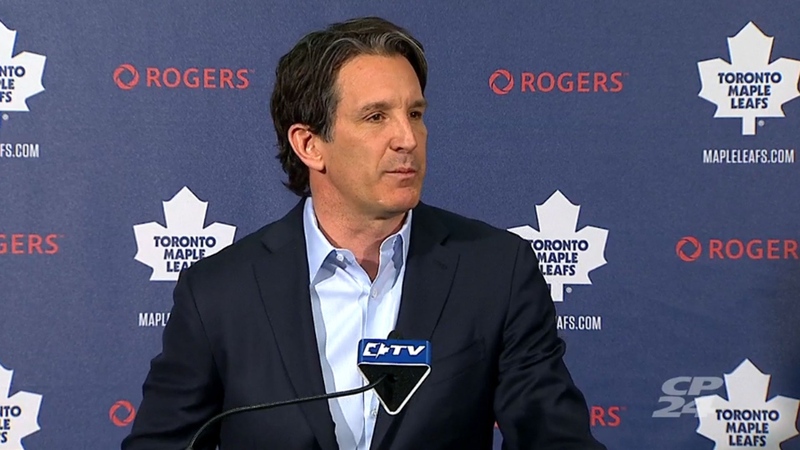 Do the deep-thinkers with the Canucks (hello Trevor Linden and Jim Benning) even have a clue? Basically, they fired their head coach, Willie Desjardins, because the Sedin twins, Daniel and Henrik, had the bad manners to get old, and former GM Mike Gillis mangled half a dozen entry drafts. 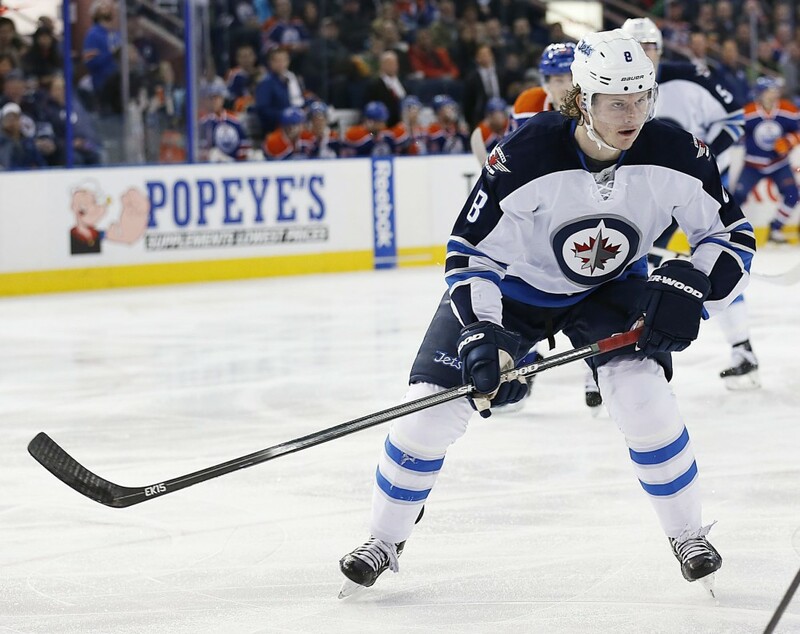 To underscore how fortunate the Jets were at the draft lottery last April, consider this: By the odds, they should have picked no higher than sixth in the annual auction of freshly scrubbed teenagers. Patrik Laine would have been gone by then and they likely would have settled for Keith Tkachuk’s boy Matthew. The difference between Puck Finn and Tkachuk? Twenty-three goals, with Laine scoring 36 and Keith’s kid 13 for the Calgary Flames. Of the top 10 youngsters chosen last year, only three—Laine, Tkachuk and Auston Matthews—played full time in the NHL this season. That’s how lucky the Jets were at the lottery. Blame it on the fans. Paul Wiecek of the Free Press offers an interesting theory in explaining why NHL outfits from the True North have failed to bring the Stanley Cup home since 1993—it’s your fault, Josephine and Joe Phan. “My theory,” Wiecek writes, “is that we’re to blame—every sad-sack hockey fan in Canada who continues to fill the arenas in this country and pay huge bucks to watch mediocre (at best) hockey. Our strength as a hockey nation is also our biggest weakness when it comes to the NHL: our passion for the sport—and our willingness to be separated from our money in support of it, no matter what—provides no incentive for our NHL teams to be anything more than exactly what they are: Just good enough to make the playoffs but not nearly good enough to actually win a Cup.” The alternative, I suppose, is to stop supporting Canadian-based teams and let them all move to the southern U.S. How did that work out for Winnipeg the first time? An odd bit of analysis on the Jets was delivered by Jeff Hamilton, one of the young scribes at the Drab Slab. “It makes little sense at this point to start pointing fingers,” he writes in the Freep. Really? If the media isn’t prepared to critique the local hockey heroes and assign responsibility for failing to qualify for the Stanley Cup derby, who will? Certainly not the fans, who, as Wiecek submits, happily part with their money for the opportunity to watch mediocrity. It’s the responsibility of the Fourth Estate to hold the Jets’ feet to the fire, and a talented writer/reporter like Hamilton surely knows that. Either Mathieu Perreault is the most brutally honest player in the National Hockey League, or the filter between his grey matter and tongue is on the fritz. I mean, it isn’t often that you hear someone label a teammate “selfish.” Perreault did. It’s equally rare in the team-first culture of hockey for a player who is not without his own flaws to cast stones of disapproval and blame at colleagues. Perreault did. There he stood before a gathering of news scavengers on Sunday, less than 24 hours after he and the Winnipeg Jets had put another failed crusade to bed. His dark eyes at times hidden in the shadows from the peak of a black ball cap, the scruffy, bearded winger delivered bon mots about his season (“When I was playing my best, I feel like the team always had a better chance of winning.”), a possible future in Las Vegas, the Jets’ talented youth and…goaltending. So there you have it, kids. If you’re looking for Connor Hellebuyck, Michael Hutchinson or Ondrej Pavelec today, you’ll find all three in a mangled mess under a transit bus. That’s where Mathieu Perreault tossed them. 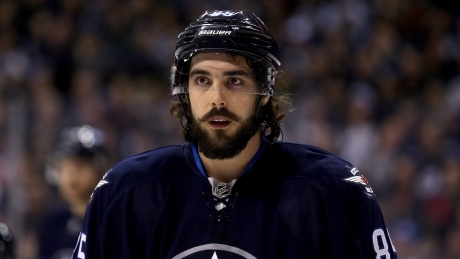 It’s not that Perreault is off base about the oft d’oh-like work of the much-maligned men who stand in the blue ice. 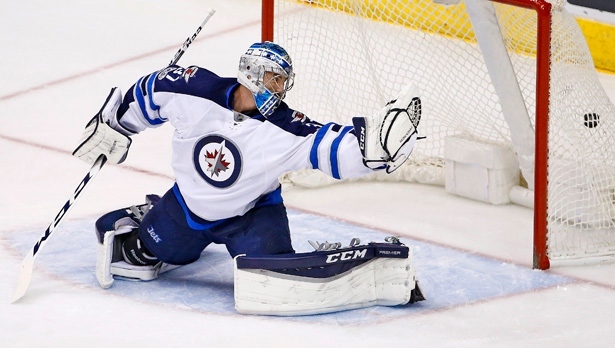 Puck-stopping surely is among the main reasons the Jets have conducted early exit interviews for the fifth time in six seasons. Here’s the question, though: Was he wrong to say it for public consumption? If, on the other hand, you’re a teammate and he’s branded you “selfish” (hello, Jacob Trouba) or he’s got you pegged as the reason you aren’t participating in Stanley Cup skirmishing that commences this week, you might have to resist the urge to volunteer to sew those loose lips together and perhaps threaten to administer a painful noogie or two just to emphasize your point. What Perreault said was blunt but true, and I can’t imagine any member of the Fourth Estate wanting him to bite his tongue. But, it’s understandable if the goaltenders are miffed, if not flat-out PO’d, because their accuser was MIA for the first three-quarters of the season. I doubt they’d share their thoughts with the rabble, though. That would be too much like airing dirty laundry in public, which is Perreault’s shtick. I’m sorry, but unless Toby Enstrom has a burning desire to live in Glitter Gulch (which, apparently, he does not), there’s no reason why the veteran defenceman should waive the no-movement clause in his contract and, thus, allow the Jets to expose him to the Vegas Golden Knights in this summer’s expansion draft. To suggest he ought to do this out of some sense of loyalty to the team is daft. And so it has begun. Lindy Ruff is out in Dallas, Tom Rowe is out in Florida, Willie Desjardins is out in Vancouver, Darryl Sutter is out in Tinseltown. Would you want any of those defrocked head coaches behind the bench for the Jets? No, no, no and…hmmm. Sutter is an intriguing possibility. But Paul Maurice isn’t going anywhere, despite what was hinted by one of the natterbugs on TSN’s The Reporters with Dave Hodge last week. Bruce Arthur suggested that “Paul Maurice is maybe in a little bit of trouble in Winnipeg.” Ya, Coach Potty-Mouth is in trouble like Alec Baldwin is the real Donald Trump. So sad to learn of the passing of Bill (Sudsy) Sutherland, former player, coach and general all-around good guy with the Winnipeg Jets. Spent many hours with Sudsy on the team bus, in the team hotel, at the rink and even made a couple of side trips with him from Philadelphia to the casinos in Atlantic City. A wonderful man.